Bulldog Movers is one of the top Atlanta companies providing moving and storage services. Metro Atlanta area residents have relied on Bulldog for cross-town and cross-country moves since 1982. In addition to moving, storage service is also offered from Bulldog. It is not uncommon to need some storage space during the moving process when you’re trying to get your new home in order. Or perhaps your business is overstocked. Whatever your short- or long-term storage needs may be, you can depend on the moving and storage services from Bulldog Movers. We charge a low monthly rate to store your items in our secure facility, giving you peace of mind without sacrificing an arm and a leg. 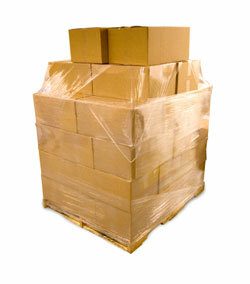 All of your items will be handled only by our experienced professionals. This kind of service has helped us earn the Consumer’s Choice Award, year in and year out. Join the thousands of Metro Atlanta area residents who have had a great experience with Bulldog Movers and allow us to help you the next time you need moving and storage services. Call or email Bulldog today when you need a moving and storage company for your next move in Marietta, Alpharetta, Decatur, Sandy Springs, or anywhere in Atlanta area.